Do not miss this fantastic opportunity to rent one of these brand new, beautifully presented, Barrat Homes on the Fallows Park development in Beverley. Situated within a short distance of the local supermarket, well-regarded schools, pubs and restaurants. This detached new build comprises an L-shaped living room, open plan kitchen diner with integrated appliances, ground floor wc, three bedrooms, one with en-suite and a separate family bathroom. The property also benefits from gas central heating, double glazing, large garden to the rear, off-street parking and a garage. Larards Lets are pleased to present this two bedroom first floor flat located off Beverley High Road within a pleasant and popular residential estate. This property is located within a short distance of Kingswood Retail Park, restaurants, parks and gardens, public schools and has convenient transport links to Beverley and Hull City Centre. The property is comprised of an entrance lobby and staircase leading to first floor landing, living room, fitted kitchen, bathroom with fitted shower and two double bedrooms. The property also benefits from electric heating, double glazing, communal gardens and permit parking area. A recently refurbished two bedroom property, located West of Hull City Centre off Wold Road. Ideal for families, as it is close to primary and secondary schools with local shops within walking distance. The property comprises of entrance hall, living room and kitchen with fitted units to the ground floor. To the upper floor there are 2 bedrooms and a bathroom. To the outside are front and rear gardens. The property also benefits from gas central heating and UPVC double glazing. 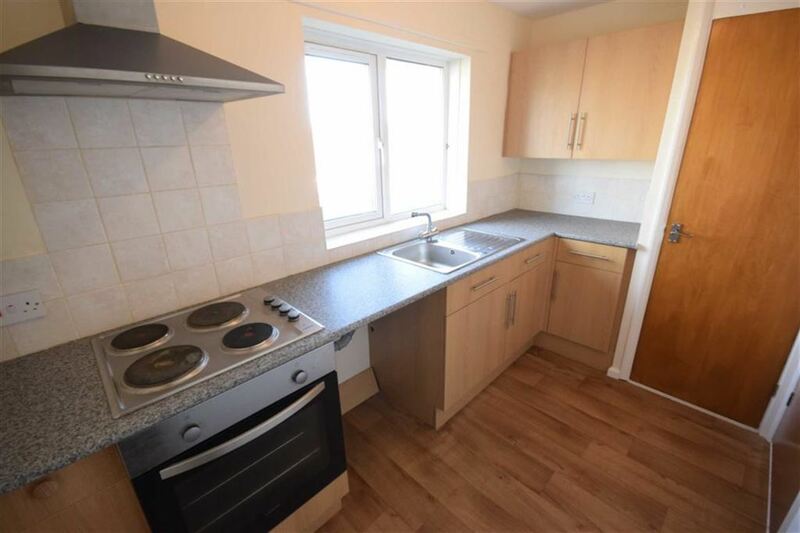 This three bed ground floor flat is situated at the end of Reynoldson Street, off Newland Avenue. Close to bars and shops with regular transport links to Hull City Centre, this flat is ideal for professionals. The property comprises of entrance hall, lounge, fitted kitchen with integrated oven/hob, bathroom with over bath shower and three double bedrooms. The flat also benefits from gas central heating, UPVC double glazing and off road parking. Larards Lets are pleased to present a well presented spacious three bedroom family home. The property is situated off Anlaby High Road, with excellent public transport links into the City Centre & Hessle Square. Local shops to include Sainsbury’s Local. The property comprises of reception hall and stairs, living room, very spacious kitchen with a range a fitted units. To the upper floor are three bedrooms, bathroom with an over bath shower. The property includes gas central heating, UPVC double glazing, and floor coverings through out. Externally there are large front & rear gardens. A purpose built one bedroom first floor self contained apartment, situated close to local amenities including Tesco and Kingswood Retail Park. Excellent access by road or public transport to Hull City Centre and Beverley. The property comprises a private entrance hall and stairs on the ground floor and to the upper floor there is lounge, fitted kitchen, double bedroom and bathroom. The property has electric heating and double glazing. To the outside there are communal gardens and permit parking area. A two bedroom three storey town house situated on the much sought after Hull Marina with easy access into Hull City Centre and all of it’s local amenities. The accommodation comprises entrance hall, utility, cloakroom and entrance into garage to the ground floor. To the first floor is the lounge with balcony over looking the garden, dining area and fitted kitchen. To the second floor are two double bedrooms and bathroom. The property has a rear garden and an allocated parking space in front of the garage. This two bedroom first floor apartment is situated on the popular residential street of Lowdale Close, near County Road South and Spring Bank West. This location benefits from excellent transport links and local amenities. The property is comprised of private inner lobby, leading to a good-sized ‘L’ shaped lounge. The kitchen is stylish and modern and comes with an oven/hob and a washing machine. The bedrooms are both of a good size, and there is a bathroom fitted with three piece suite. To the outside there is a communal parking area. This property benefits from electric heating. A one bedroom, first floor apartment situated in this popular Old Town Development – a fantastic location within walking distance of many bars, restaurants and shops. This fully furnished property comprises a communal entrance leading to private entrance hall, living/dining room, double bedroom, newly fitted modern kitchen and bathroom with over bath shower. Included are all main items of furnishing and white goods. The heating is electric. To the outside are communal gardens and permit parking. A lovely one bedroom cottage in the heart of Anlaby opposite the Church. An ideal property for a professional couple or individual, walking distance to Anlaby Centre with many amenities, shops and frequent bus routes into Hull City Centre. The property comprises a living room with feature fireplace, fitted kitchen with door leading out to a small rear courtyard. On the first floor is a double bedroom and large spacious bathroom. A two bedroom apartment situated in the over 55s development John Gray Court. Situated in the popular village of Willerby, close to many local amenities and frequent bus routes into Hull City Centre. The apartment comprises of entrance hall, lounge, dining room, shower room, fitted kitchen and two bedrooms. The development is warden controlled and has a community alarm service. It is situated amongst beautiful communal gardens.